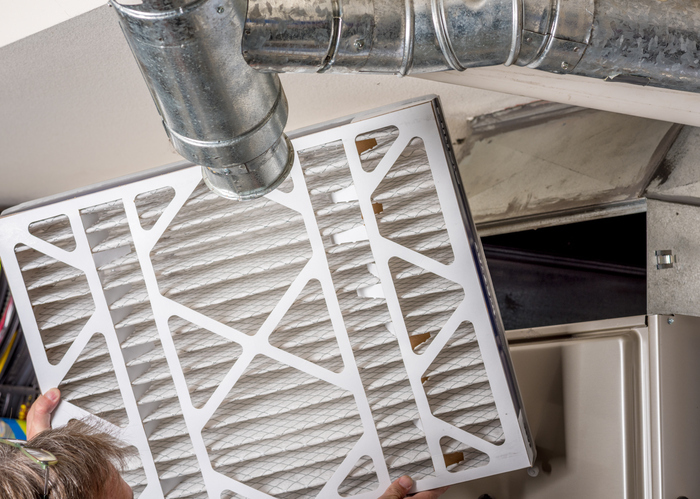 What is the Link Between HVAC Maintenance & Indoor Air Quality? So here is a quiz question for you: Do you know what the main role of your air conditioning and heating system is? And of course you are right—in that this is one of the essential functions of an HVAC (heating, ventilation, and cooling) system. But it isn’t the main role of your air conditioner and heater. According to the U.S. Environmental Protection Agency (EPA), the main role of any HVAC system is to maintain good indoor air quality. How Does Your HVAC System Keep Your Indoor Air Clean? Ventilation ensures that a steady supply of fresh, oxygenated air is continually being introduced into your indoor space. Filtration ensures that any toxins or allergens that may be present in this incoming air or in your existing indoor air are filtered out so they don’t enter your body. And temperature regulation is an important aspect of maintaining a balance between dryness and humidity. Too little humidity and you are more susceptible to germs, pollen, and illness. Too much humidity and there is a danger of mould spores and mildew beginning to grow. The main goal is to keep a humidity level of between 30 and 50 percent year-round. Of course, your air conditioner and heater already have their hands full just regulating your indoor air temperature, humidity levels, and air circulation (ventilation plus filtration). Indoor air duct system cleaning (for ducted HVAC units). An indoor air duct cleaning, which can be done as often as once a year, gives your entire HVAC system, air ducts, grills, vents, and all, a thorough cleaning to remove all built-up dust, dander, pollen, and toxins. This ensures your indoor air is free from airborne particulate matter and pollutants that could harm your health. Air filters. Ideally, you should change your air filters every 30 days to improve energy efficiency, reduce fire risk, and keep your indoor air fresh. Energy/heat recovery ventilator system. An energy or heat recovery ventilator system ensures stale outgoing air and fresh incoming air never mix. Ceiling or floor fans and open windows/doors. Regular use of ceiling fans, with the switch turned to the appropriate seasonal setting, can help keep air from getting stagnant in any one room. Floor fans and open windows or doors can help achieve the same. Humidifiers and dehumidifiers. Alternating the use of humidifiers in winter and dehumidifiers in summer can aid in keeping the humidity in your indoor air in the recommended range of between 30 and 50 percent. Exhaust ventilation. This is particularly critical in chronically damp or odiferous rooms, such as bathrooms, where mould and mildew can quickly begin to grow, and craft or work rooms, where use of adhesives, copy machines, scanners, and other equipment can release toxic gases into the indoor air. As outlined here, each one of these assistants can make a measurable impact on overall indoor air quality, freshness, cleanliness, and breathability. Is Your HVAC Unit the Right Size for Your Space? Another critical component of maintaining optimal efficiency and indoor air quality is ensuring that the sizes of your HVAC unit and space are a good match. According to the National Center for Healthy Housing (NCHH), one of the most common problems homeowners and business owners make when selecting an HVAC unit is oversizing. Oversizing means selecting a unit that is too large and powerful for the needs of the space. This is a particularly easy mistake to make. After all, it just seems to make sense to buy a bit more power than you need to make sure you have sufficient power for your needs. But if you have ever attempted to drive a standard sports car in stop-start rush-hour traffic, you already know it is a constant battle to keep the engine in check as you inch along. This is the same problem you will have with an oversized HVAC unit—it will have a tendency to do something called “short cycling,” which may cool the air, but it won’t regulate humidity well. So here, you risk mould and mildew growth that can eventually toxify your entire indoor air environment. You will also end up paying more than you should for your monthly energy bills, because short cycling will cause the system to draw more energy but work less efficiently. Let Us Help You Save Money & Breathe Easier! 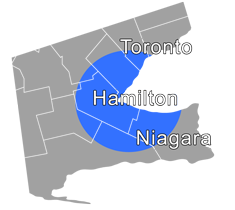 Did you know that Shipton’s recently expanded from Hamilton to the St. Catharines and Oakville areas? We also have a sister company called Clean Air Solutions that handles our clients’ indoor air quality, air duct cleaning, filtration, purification, ventilation, and maintenance needs. Our goal here at Shipton’s is to ensure you have an HVAC system that runs at peak energy efficiency and keeps your indoor air at home or work as clean and toxin-free as possible. Right now, when you schedule any HVAC service with us, we will automatically take $25 off your final bill. Click here to claim this offer! And when you schedule an indoor air duct cleaning with Clean Air Solutions, we will take $50 off the cost of the duct cleaning package of your choice. Click here to claim this offer!